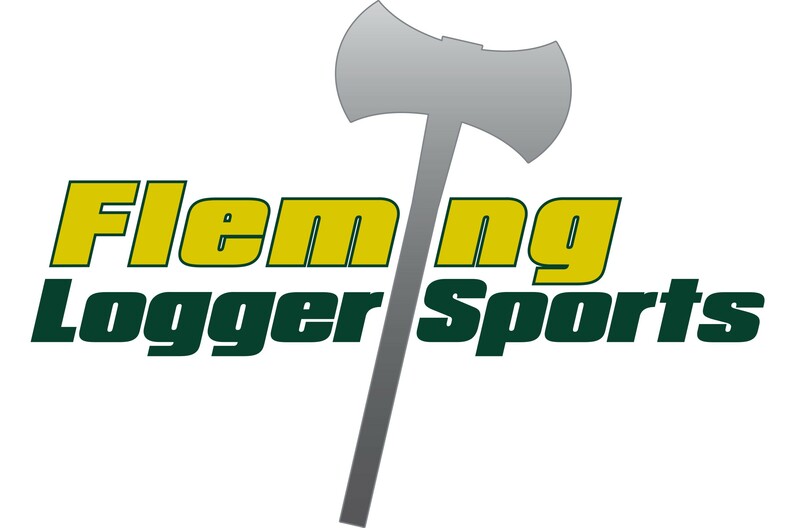 36th Annual Fleming Loggersports Competition is happening November 3rd! 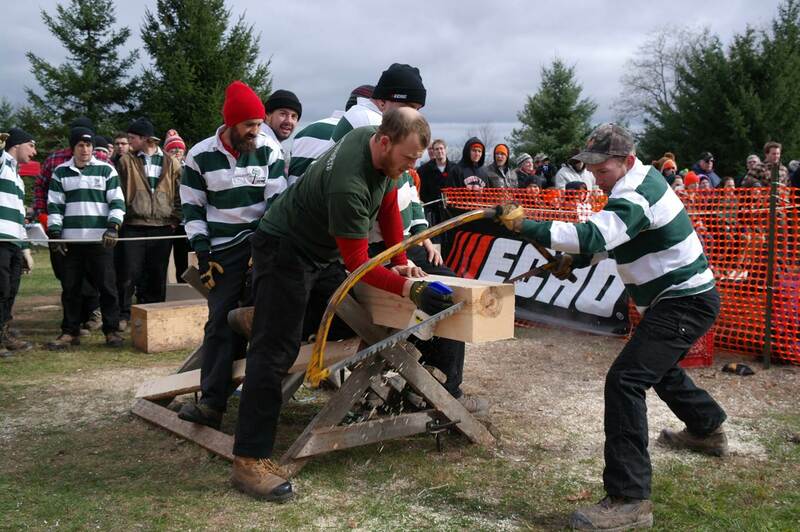 Come and check out the Woodsmen competition happening at Fleming College's Frost Campus (Lindsay) Saturday November 3rd! Free admission! 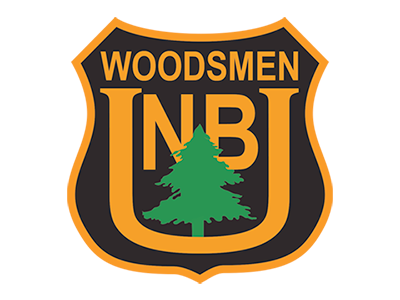 The 53rd UNB Woodsmen Competition is on October 13th! 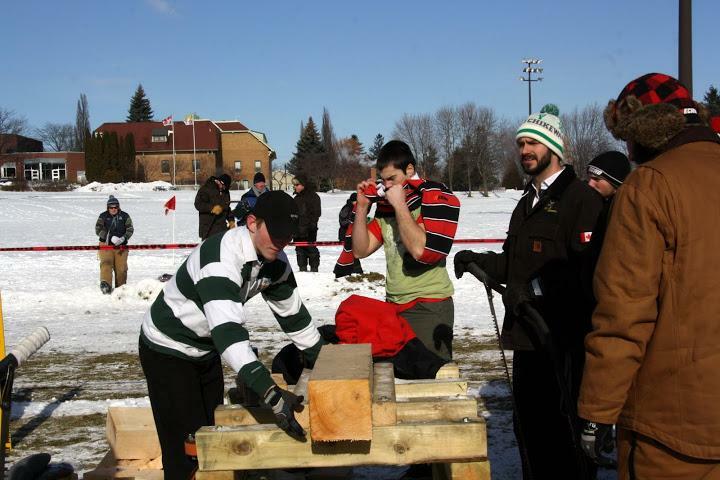 The University of New Brunswick Woodsmen Team is pleased to extend an invitation to participate in the 53rd Annual Woodsmen Competition! Breakfast – 6:30 a.m. – 7:30 a.m. 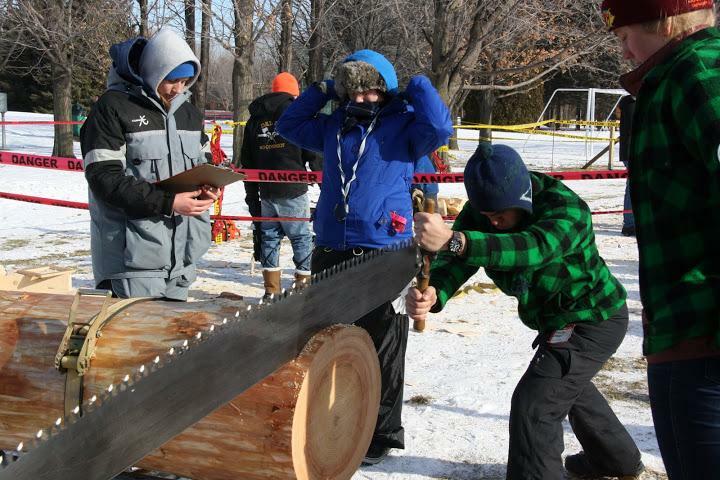 Opening Ceremonies – 8:45 a.m.
Competition – 9:00 a.m. – 12:00 p.m., 1:00 p.m. – 4:30 p.m.
33nd Annual Rick Russell Woodsmen Competition happening at Dalhousie this weekend! 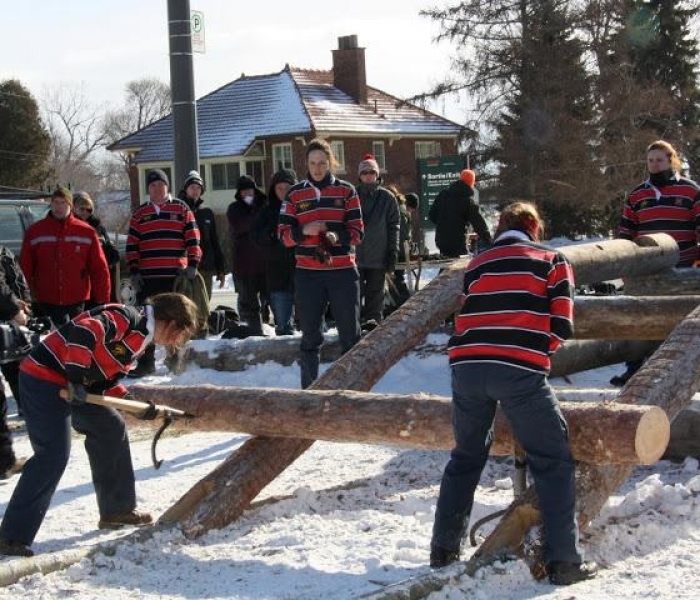 Saturday January 27, 2018 on the Watson Field at McGill’s Macdonald Campus. 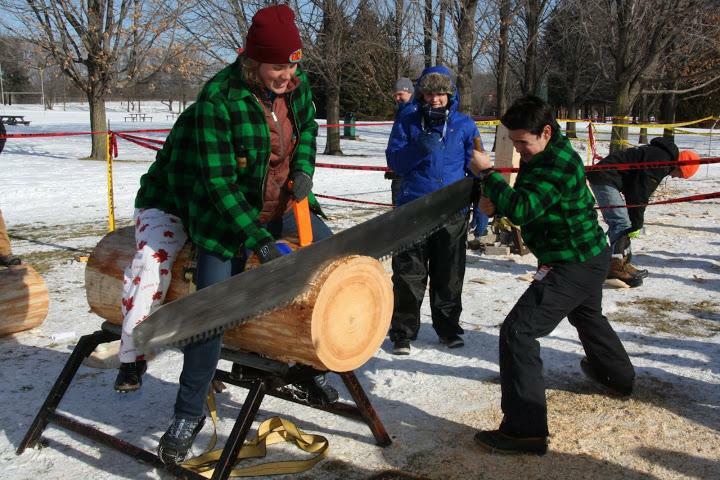 UNB Woodsmen Competition is happening this weekend! 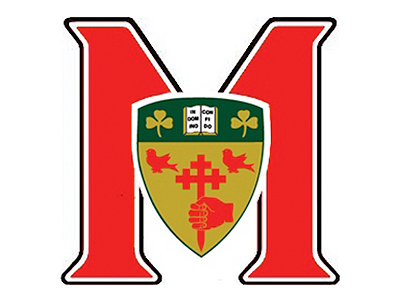 Saturday October 14th, 2017- All are welcome! 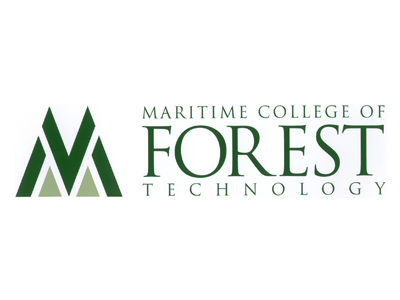 9:00 p.m. Captain’s meeting: Forestry & Geology Building, 2 Bailey Drive, UNB campus, Fredericton, NB, on the 3rd floor, Room 306. 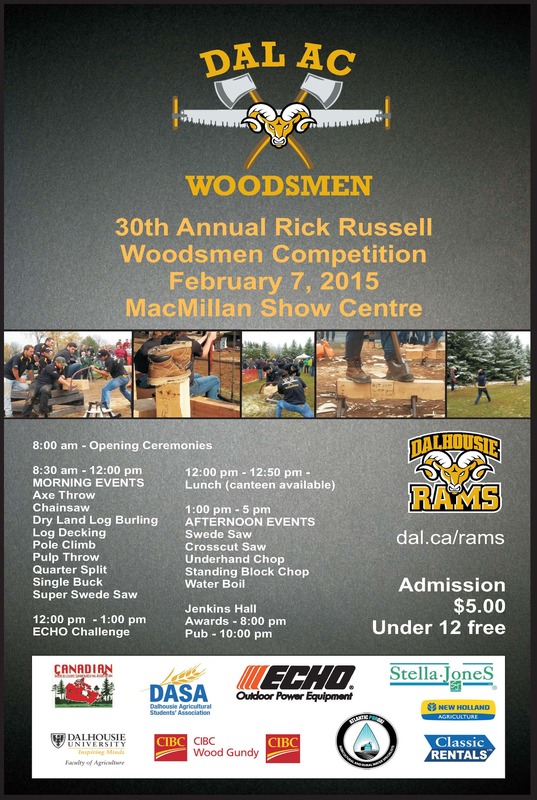 DAL competition is coming up fast! 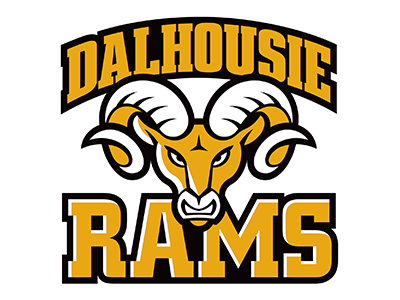 Click here to watch the DAL promotional video!!! Competition is on Saturday, Feb 11, 2017, all welcome! 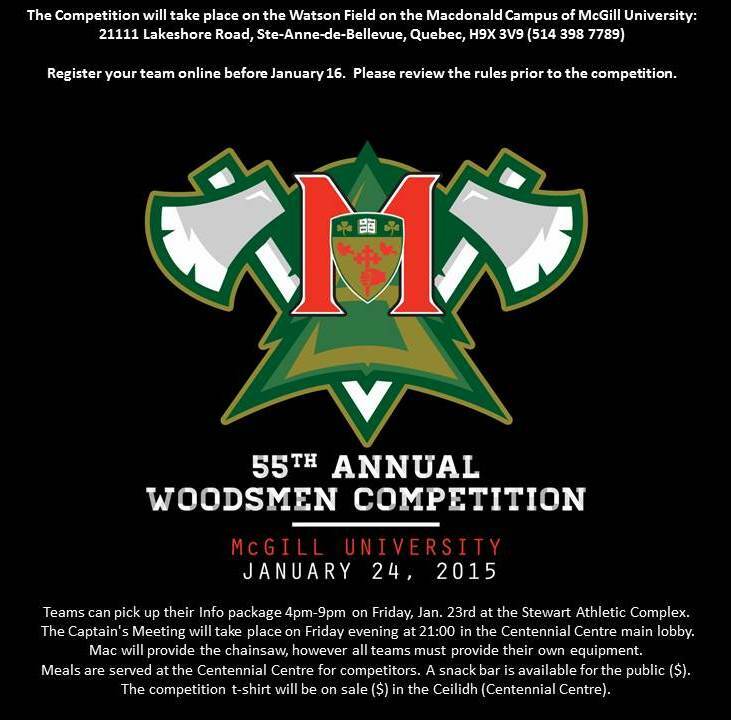 Held on Saturday, January 28, 2017 on the Watson Field at McGill’s Macdonald Campus. 514 398 7789 main office phone. 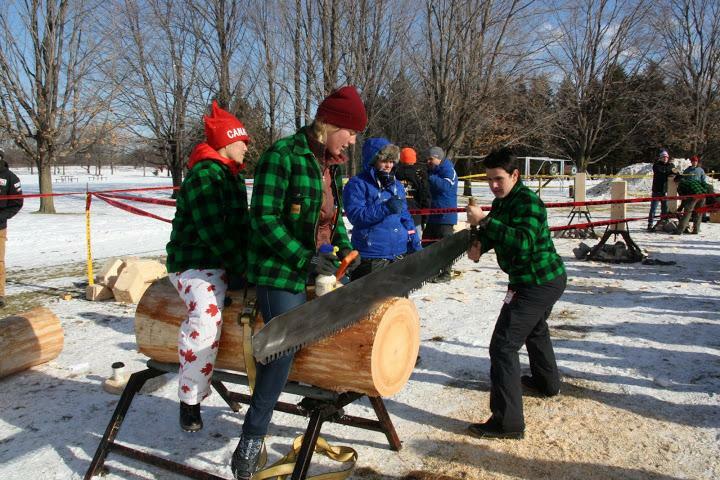 Promotional Video produced by Emina Ida Macdonald 57th Woodsmen Competition! 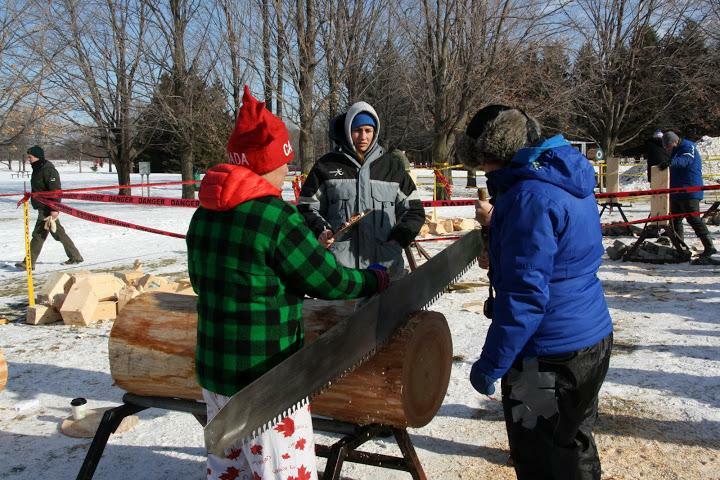 Happening on Saturday, January 28th on Watson Field, Macdonald campus starting at 9am! 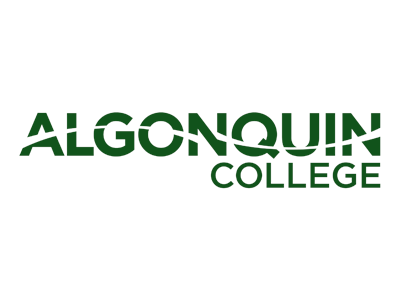 Congrats to Algonquin College - AC Loggersports - Grey Cup Championship Cookie Cutting. 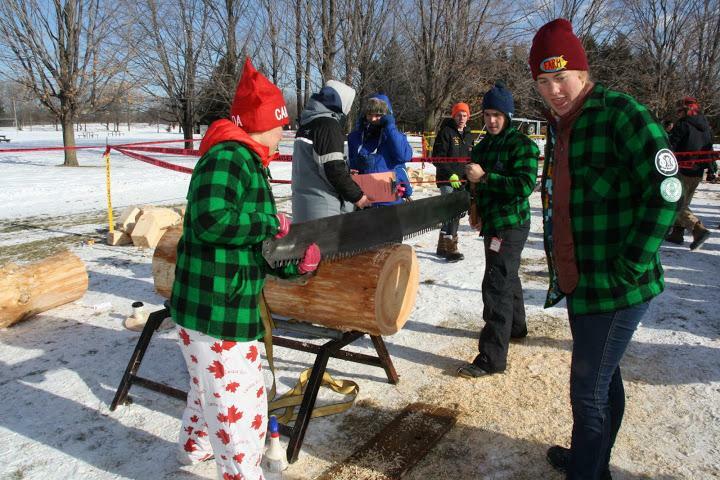 Fleming College: School of Environmental and Natural Resource Sciences, located in Lindsay, Ontario is pleased to announce our 34th Annual LOGGERSPORTS Competition on Saturday, November 5, 2016 at 8:00 A.M. 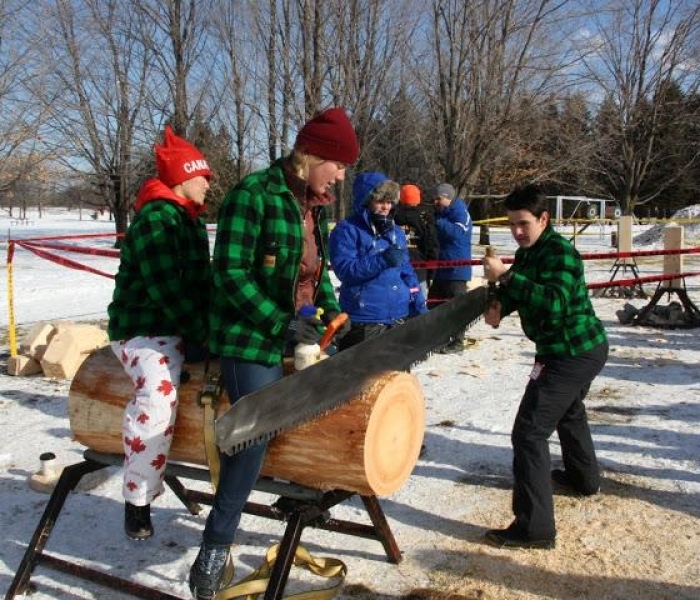 Please consult www.cilawoodsmen.ca for competition rules and other information regarding (CILA) Canadian Intercollegiate Lumberjacking Association. 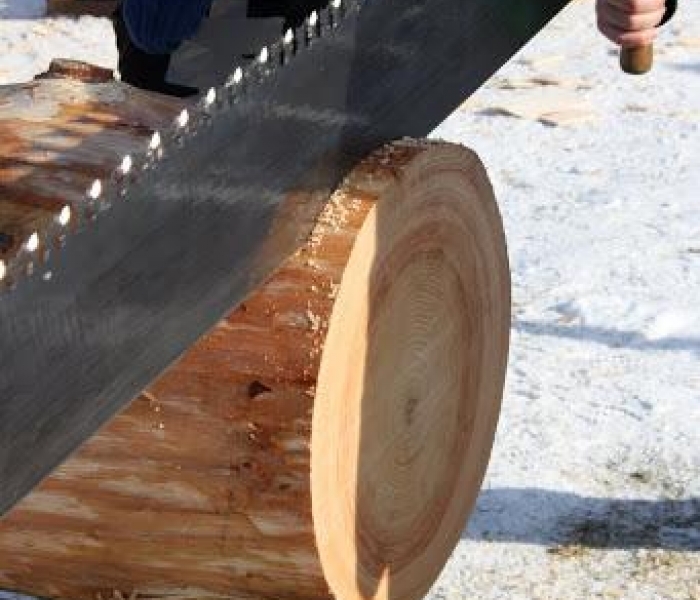 It is imperative that you review these rules prior to the competition. Breakfast – 6:30 a.m. – 7:45 a.m. 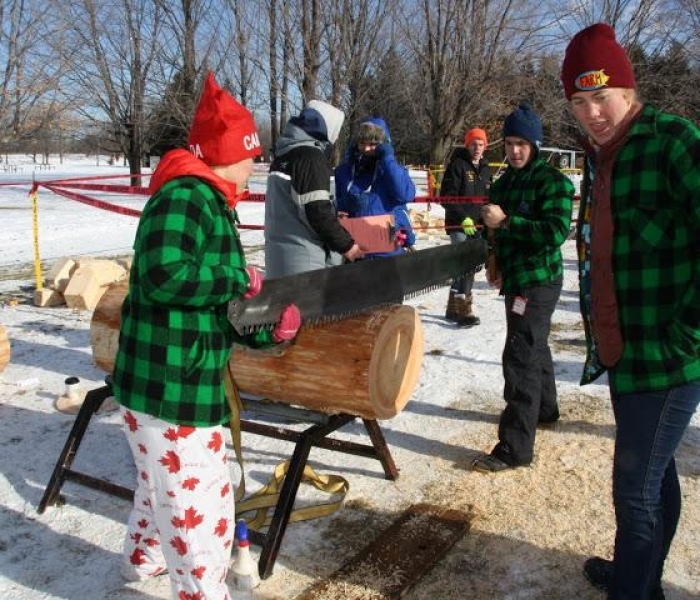 Opening Ceremonies – 7:45 a.m.
Competition – 8:00 a.m. – 12:00 p.m., 1:00 p.m. – 4:30 p.m. 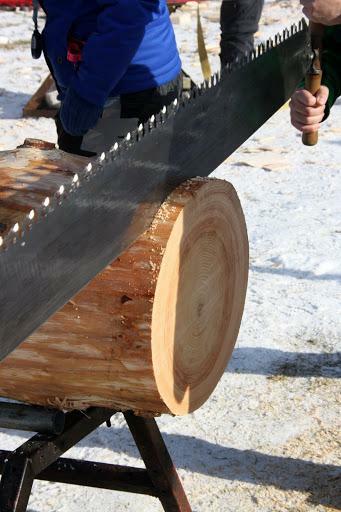 Lunch – 12:00 p.m. – 1:00 p.m. Break – 4:30 p.m. – 6:30 p.m.
Click on the photo for a preview of the final competition of the year! 8AM – All volunteer timers & judges meeting in the CC lobby. 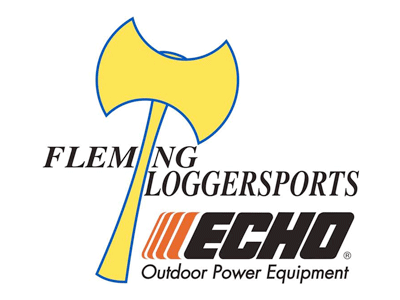 Greetings Competitors & Loggersport fans! 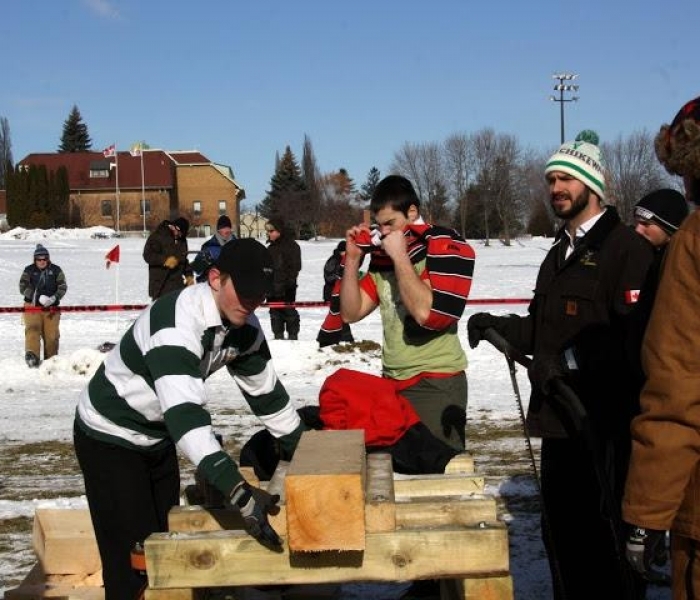 Fleming College: School of Environmental and Natural Resource Sciences, located in Lindsay, Ontario is pleased to extend an invitation to come cheer on the competitors in the 33rd Annual LOGGERSPORTS Competition. Saturday, Nov. 7, 2015 at 8:00 am. 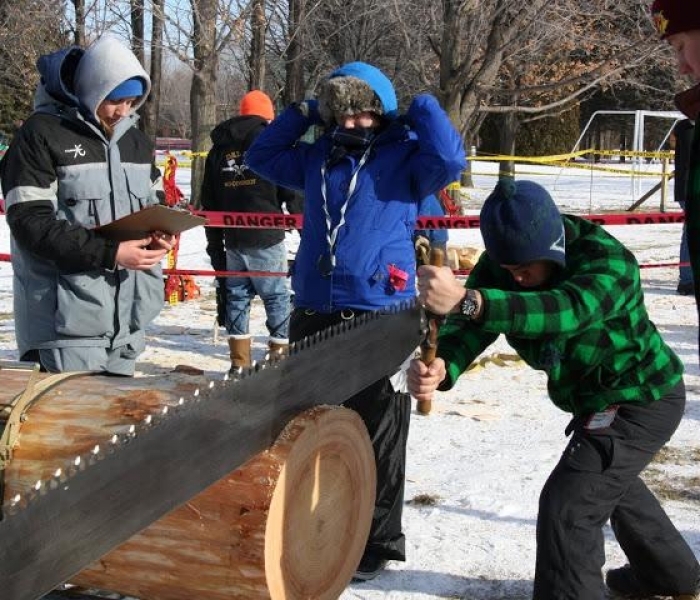 Be sure to read the competition rules and information regarding (CILA) Canadian Intercollegiate Lumberjacking Association. 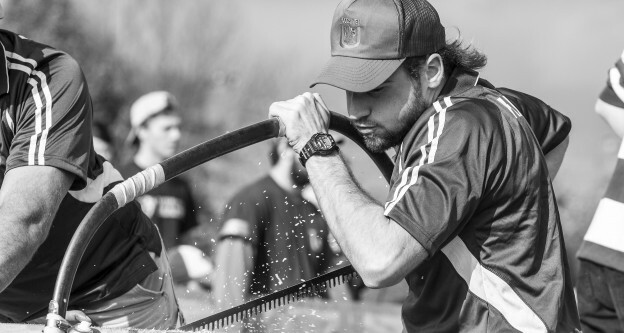 Here is the official invitation to the UNB 2015 competition. 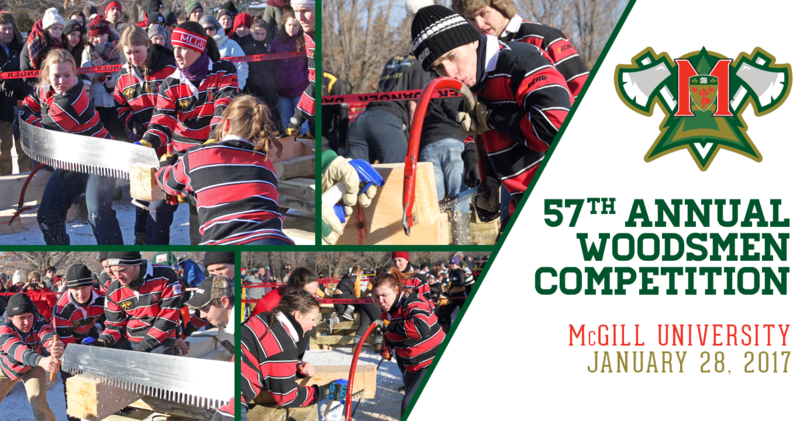 Mac welcomes you to the 55th Competition! Team breakfast served 7am to 8am. 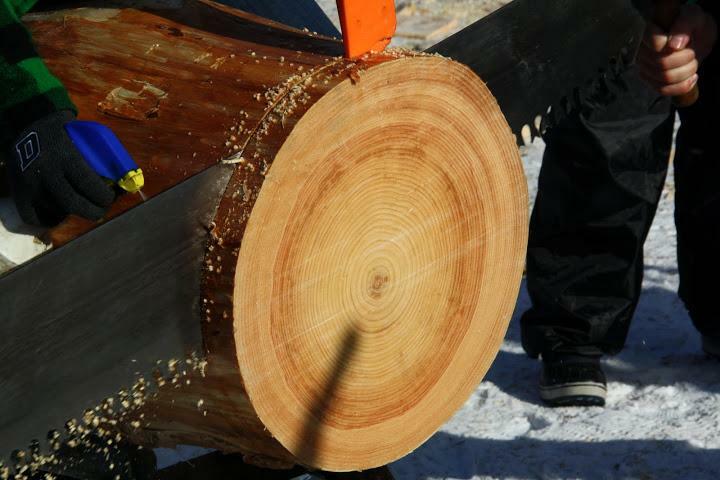 Events begin at 8am with wood assignment by the Head Judge, and the Opening Ceremony Cut & Anthem. Lunch at 12pm-1pm. Campus bar opens at 3pm. 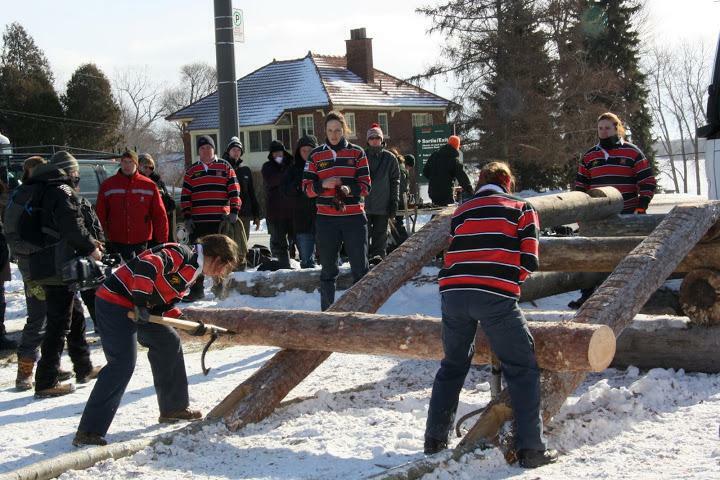 Teams must start their last and final event of the day by 4pm. Awards at 6pm in the Ceilidh. Dinner at 6:30pm the ball room and ​Reception party to follow. 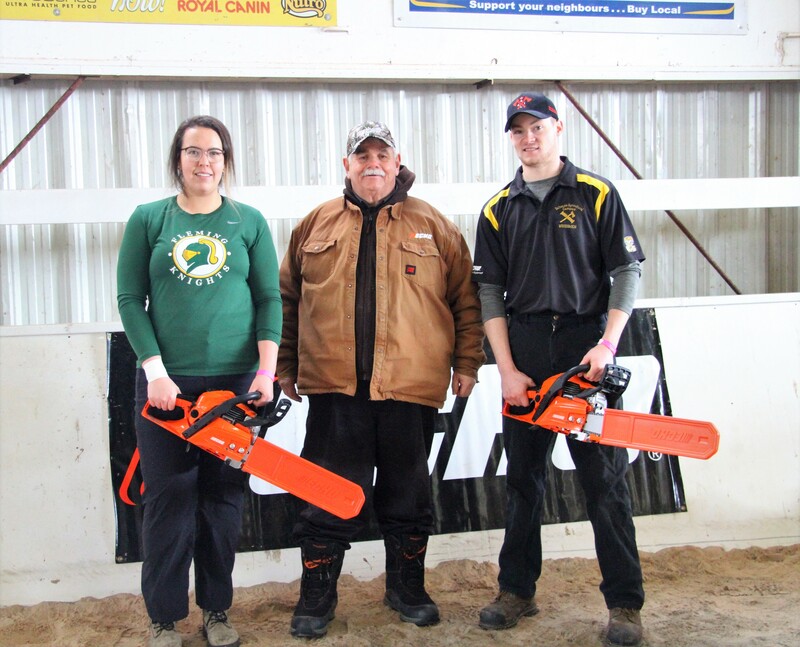 The kickoff of the 2014-2015 CILA season started fresh with the University of New Brunswick Woodsmen Team hosting their 49th annual competition at a new, larger venue. 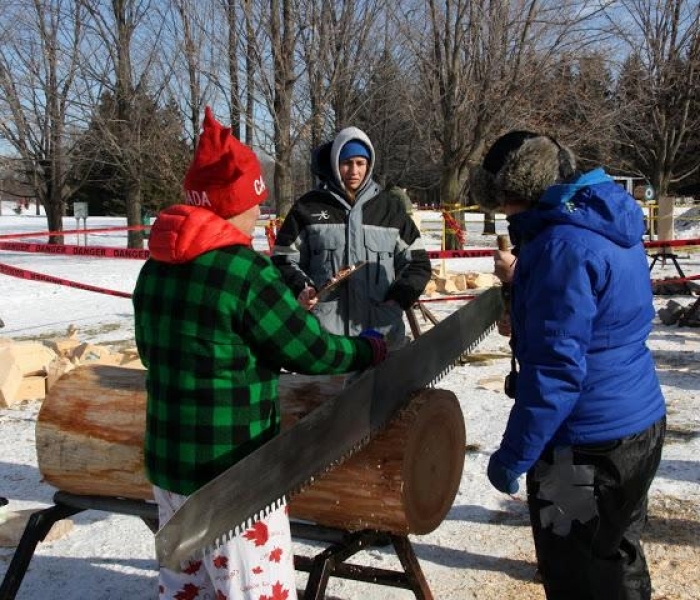 The competitors got right to work showing off their skills to the crowd, despite the new scenery. 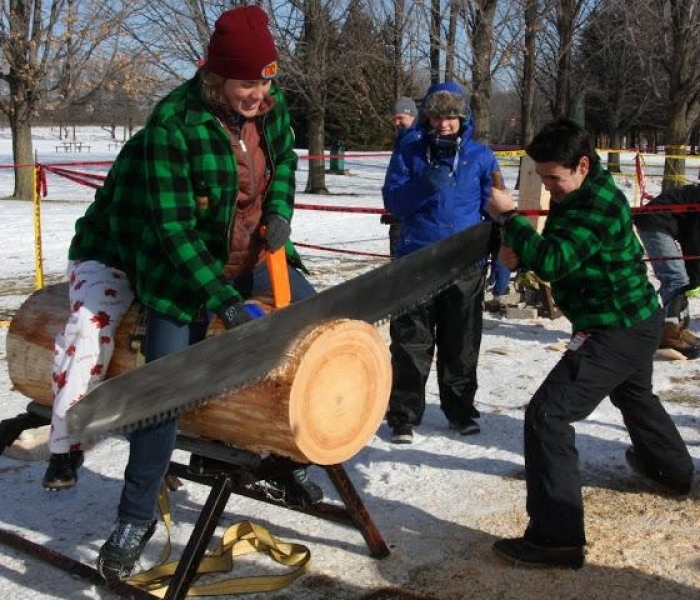 For some, it was the first time competing against other teams. 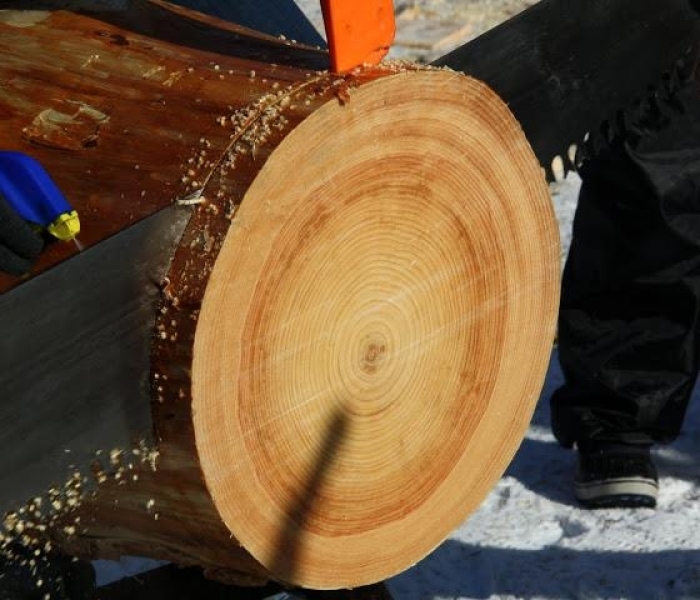 For others, it marked the beginning of their final season. View the SSFC Competition Brochure for details regarding location and surrounding hotels and restaurants.